NHS treatments are available at our practice. We rely on our teeth every day. They have to endure whatever we throw at them – especially if you have a sweet tooth. We use them for eating and but they’re also important when it comes to speaking, and, of course, for our smile. That’s why it’s important to make sure that you’re registered with a dentist. Regular check-ups ensure that any problems are taken care of. Simple treatments can prevent larger problems further down the road. Bank Street Dental Care offers NHS treatment. We’re currently registering new patients and we would love to see you at the practice. We also hold a Childsmile clinic. You can register your baby soon after they’re born. View our Childsmile page for more information or ask us in the practice. In full-time education and under 19. A pregnant woman, or a nursing mother – up until your child is 12 months old. Have certificated exemption from payment due to income. If you qualify for exemption, please bring evidence along to your appointment. If you aren’t eligible for free treatment, then prices are still very affordable. The NHS covers part of the cost, meaning you’ll only ever pay up to 80% – with a maximum of £384. Wondering what NHS treatment covers? 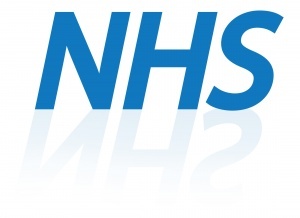 All standard treatments are covered under the NHS. You’ll receive any treatment that your dentist thinks you need to maintain good oral hygiene. That means if there’s any problems with your teeth, you’ll always be able to receive treatment for it. What doesn’t the NHS cover? Private treatments, such as cosmetic fillings, aren’t offered on the NHS. We do provide private treatments at the practice – just ask us about them.